According the Daily Mail the company Just Eat has made the first delivery of takeaway using a robot. The late internationally renowned physicist, Stephen Hawking, once said, "Intelligence is the ability to adapt to change." In the midst of a revolution in the evolution of human technological advancement, the American and global workforce must also be ready to use its gift of human intelligence to gracefully meet that change. Commercial Drones, Artificial Intelligence, and Self-driving Car technology is a tightly interwoven web of disruption that has captured the massive investment and intellectual resources of corporate America. These three key industries will indeed take away jobs, but they are already creating many. It is not a question of if or when but how the 21st century workforce will face this challenge to adapt to inevitable change, and rise above it. Unmanned Aerial Vehicle manufacturer, Ehang, plans to deliver people to their destinations via Drone taxis in under 30 minutes. PriceWaterhouseCoopers projects the Commercial Drone industry will quickly reach $127 Billion by 2020. If there is so much money expected to be made from drones, then where is the opportunity? Where are the jobs? There are roughly 100,000 commercial drone Pilots across America, according to the FAA, who are averaging $150 per hour, conducting Thermal Imaging, 3D Mapping, or even Virtual Reality Videography. Commercial Drone Pilots in mining can take home up to $200,000 per year. The Association for Unmanned Vehicle Systems International predicts 100,000 jobs to be created within the first 10 years of commercialization. However, many of these jobs have yet to be created, thus offering an exciting opportunity for creative business use cases to be developed to disrupt existing and /or create entirely new markets. Microsoft's AirSim is an ultra realistic simulator for A.I., Drones, and Self-driving Cars. The Simulator is built on top of the AAA game designing platform, Unreal Engine 4, for the purpose of training machines in virtual worlds and transferring simulator-based learning onto machines in the real world. Montreal A.I., a Montreal startup that helps businesses design and implement machine learning, published a report highlighting that there are roughly 20,000 qualified professionals in the field of Artificial Intelligence, thus causing a talent war among rivaling companies, who often cipher off talent from one another. For less than 1-year of experience Data Scientists and Specialists in the field are commanding anywhere from $500,000 to $1,000,0000 per year for this skill set, according to the New York Times. A.I. departments may become as ubiquitous as human resource departments in days to come . With such an abundance of opportunity in the industry, it is an employees market as their current scarcity provides immense salary negotiating leverage. 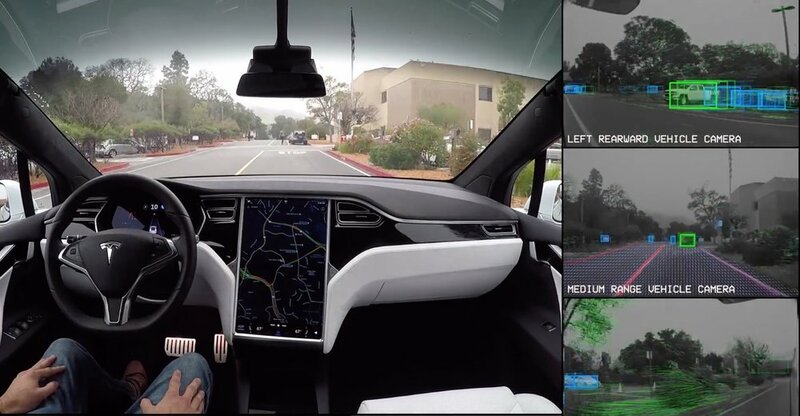 Self-driving Cars, also known as Autonomous Vehicles, use a myriad of sensors to detect and classify objects, such as Lidar, Sonar, Stereo Vision, and Computer Vision using a multitude of specially tailored cameras. Recently, there has been news of Self-Driving cars everywhere, from Silicon Valley in California, to the Silicon Prairie in Nebraska. The University of Nebraska-Lincoln, announced it will house the States first self-driving shuttle in 2019. After a fatal accident, and addressing safety issues, Uber is putting its self-driving vehicles back on the road. Ford announced investing $4 Billion by 2023 in its newly formed Ford Autonomous Vehicles, LLC. Many other automotive manufacturers are following suit. Such a dramatic shift will cause other players in various transportation sectors to integrate automation or be left behind. Fueled by Artificial Intelligence and technology currently used in Commercial Drones, Self-driving vehicles present disruption but also opportunity for disabled workers, stopping drunk drivers, curbing traffic fatalities, and allowing humans the opportunity to make better use of their time between destinations. According to the Creative Destruction Theory, by Austrian-American economist Joseph Schumpter, old industries constantly fall and new industries rise to replace them. Those that can foresee which industries will fall and are able to use such business intelligence to find a prime position in a new and rising industry, benefit as early adopters. The fields of Commercial Drones, Artificial Intelligence, and Self-driving cars will greatly influence opportunities to find work and make a living today and well into the future. The American and global workforce have adapted to tough circumstances before, and they have proven resilient time and time again.